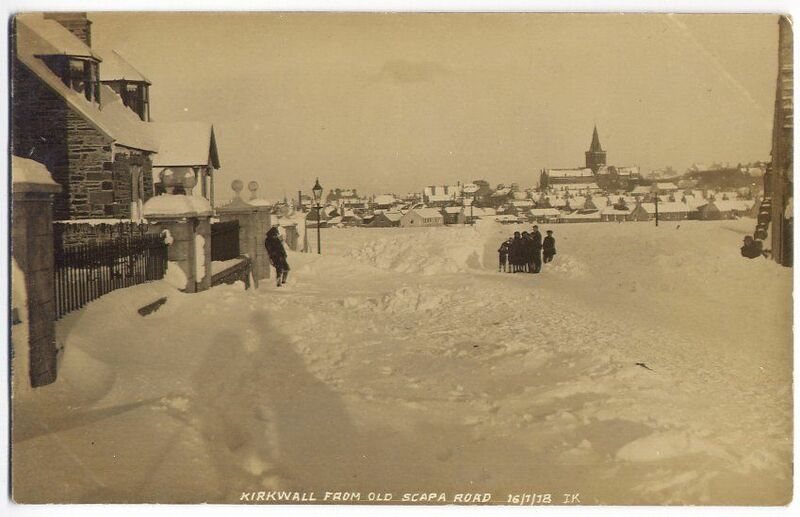 Tom Kent post card from 1918 of Old Scapa Road under snow. I think there is one of High Street with snow taken around the same time on this site perhaps someone can take the time to look for it. I didn't realise that the newer part of the slaughterhouse at the Crafty (now the Scout Hall) was as old as that, though it does look quite new. Also nice to see that even Tom Kent could get his shadow in the picture (you can make out his camera and tripod too). picture #349 and picture #550 were taken on the same day. I meant to say that the newer part of the slaughterhouse looks quite new not now but in this picture. I wonder if it was built because of increased demand during the First World War? Incidentally I was told that when the Royal Oak was sunk in the Second World War the slaughterhouse was used as a temporary mortuary, the bodies being taken on lorries from Scapa. Bill Leonard lived at 26 High Street, the house on the extreme right where the crowsteps disappear into the snowdrift. When he was a boy, (in the 1890's), he used to dig tunnels through the snow piled up against Corse's big dyke, which was lasted until the snow thawed out in spring. Paul you are correct re the slaughterhouse and ground area being used as a temp collection point and mortuary for the bodies recovered from the Royal Oak disaster. My father said he helped out early the next morning on his way to work. 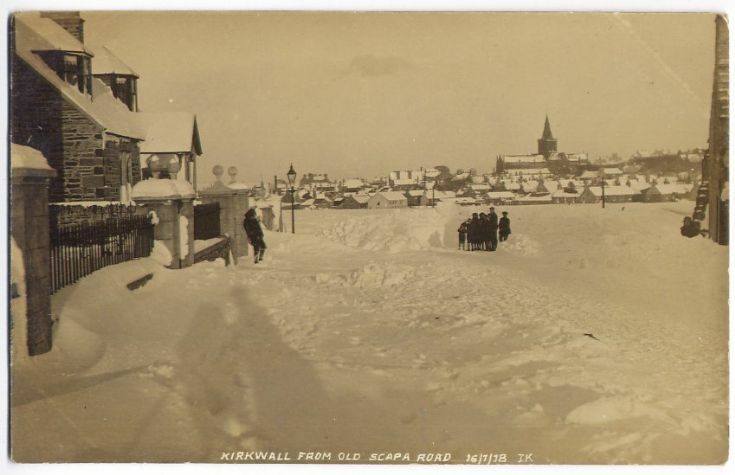 Many lorries were taking the bodies in from the Scapa area and they were laid out on the ground next to the slaughterhouse and he was one of the lads who had to hose the many bodies down to get rid of the oil on them so they could be identified, etc. He said there were a lot of folk there helping out at the time.